Supreme Court today suspended Bangalore Special Court’s Sentence passed against AIADMK Chief Jayalalithaa in the Dis-proportionate assets Case and ordered her release with stringent conditions. The Three Judge Bench headed by Chief Justice Dattu inclined to grand the relief after getting assurance from her lawyer Fali Nariman that she won't ask for any adjournment in Karnataka High Court and will file the paper book of appeal within 2 months. 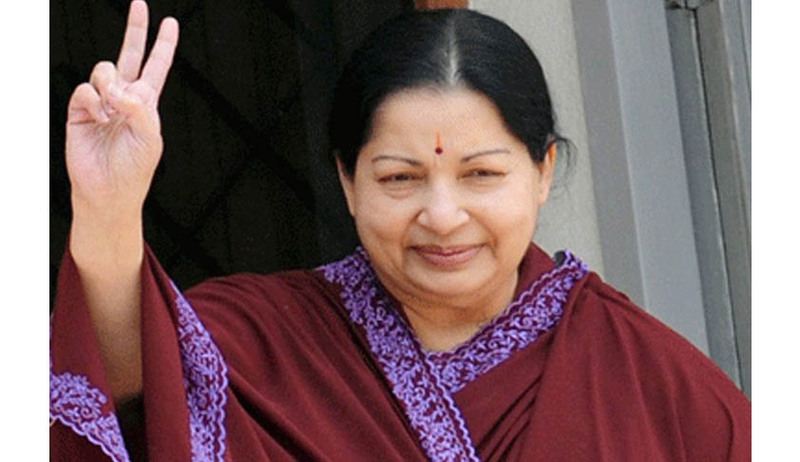 The Bench cautioned Jaya that they will not give her a day more if she fails to file paper book within 2 months. It was on 27th September, Jayalalitha and her aides were sentenced to four years and with a fine of Rs. 100 crore. She has been convicted under Section 13 (1) (E) of the Prevention of Corruption Act (criminal misconduct by public servants), Section 120 (B) of IPC (criminal conspiracy) and Section 109 (abetment). Though Jayalalithaa had approached the Karnataka High Court, the High Court also dismissed her plea for suspending the sentence imposed on them until their appeal against conviction is decided by the High Court. She has been sentenced to four years in jail, and charged with a fine of Rs. 100 crore. She has been reportedly convicted under Section 13 (1) (E) of the Prevention of Corruption Act (criminal misconduct by public servants), Section 120 (B) of IPC (criminal conspiracy) and Section 109 (abetment).